I have been watching the maxi skirt’s popularity rise over the last year or two, and it has mostly confused me. Don’t get me wrong, I love a beautiful skirt… but so many of these maxi skirts aren’t. So many of them are elastic waisted, polyester, one-size-fits-all things, often festooned with a print that doesn’t do much for the backside. In my opinion, they are basically the sweatpants of the skirt world. They look great on young university students, but all that extra fabric doesn’t do much for most women. If you search for “maxi skirt” on Pinterest, most of the women sort of look like columns. No waist, no hips, just fabric. Call me an idealist, but I think a skirt should do more for a woman than make her look like an architectural feature. 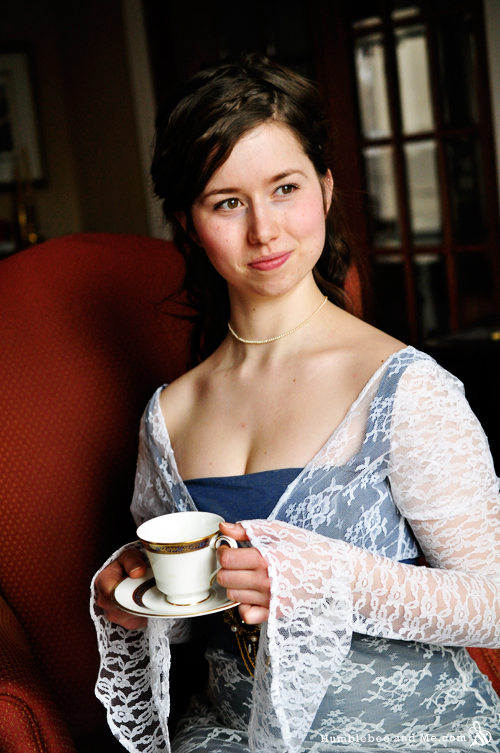 As I discussed in my Everyday Edwardian overview, the best way to bring a bit of Edwardian style into your day-to-day life is best to take your cues from a current Edwardian-era drama. In this case, it’s the first two seasons of Downton Abbey and James Cameron’s Titanic. The sweater Mary is wearing here reminds me of the Villa Wrap from Icebreaker. People who love history enjoy challenging me on my love of the Edwardian Era (and the accompanying Art Noveau). 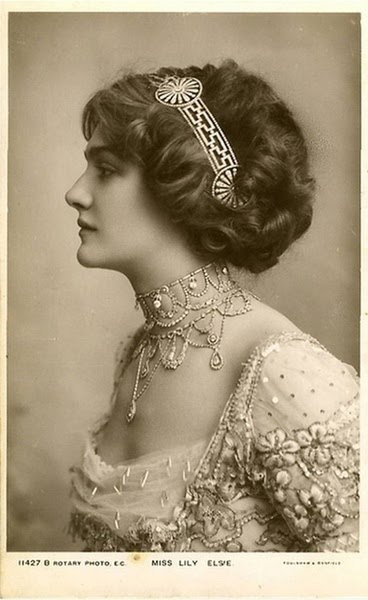 While I have many reasons, I think one of my favourites is the unabashed Edwardian love of beauty. 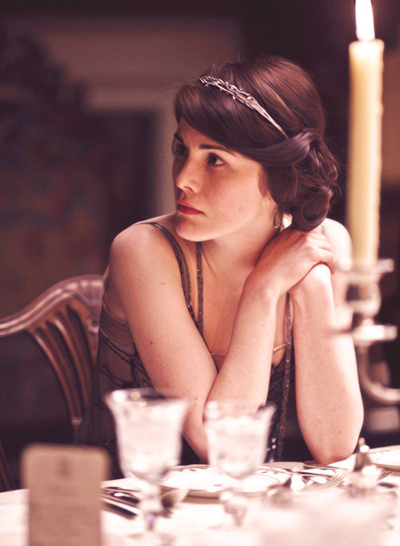 I have a confession to make… I dreamt I was on Downton Abbey last night. Yes, these are the sorts of things that I fantasize about. It was the best kind of dream because it was both convincing (despite my forehead being roughly 4” taller than usual, which really didn’t suit me at all), and about something I like (rather than work, which I have been dreaming about far too much as of late). 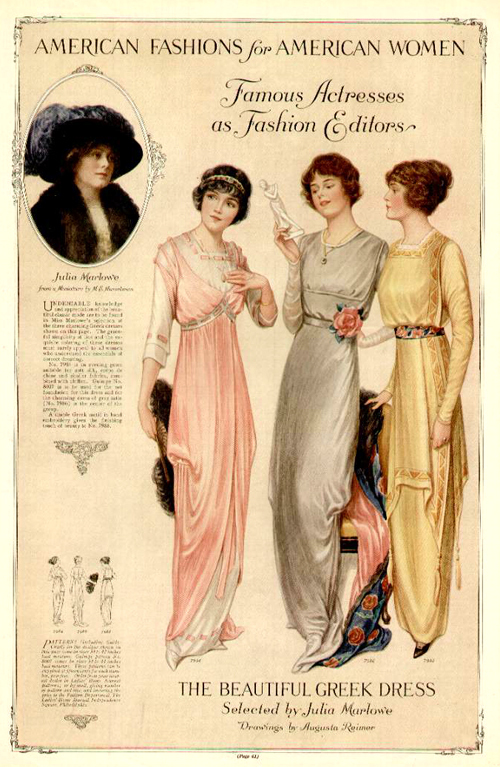 Anyhow, I can remember ogling the fantastic décor, admiring everybody’s hairstyles and costumes, and discussing Edwardian footwear with Anna (because we don’t see much of it in the show and as Mary’s lady’s maid, she would know). You may call my dreams rather dull, but you should have seen the ornately carved wood panels on the walls. Sigh. 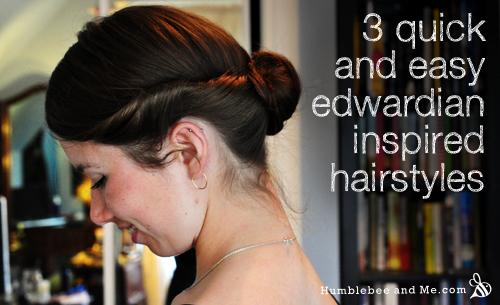 One of my favourite ways to bring a bit of Edwardian charm into my day-to-day life is an Edwardian inspired hairstyle or two. They’re perfect for my long hair, and the ones I’ve devised are easy, elegant, and they wear well today (that is, they are not overly poufy and pompadoury). 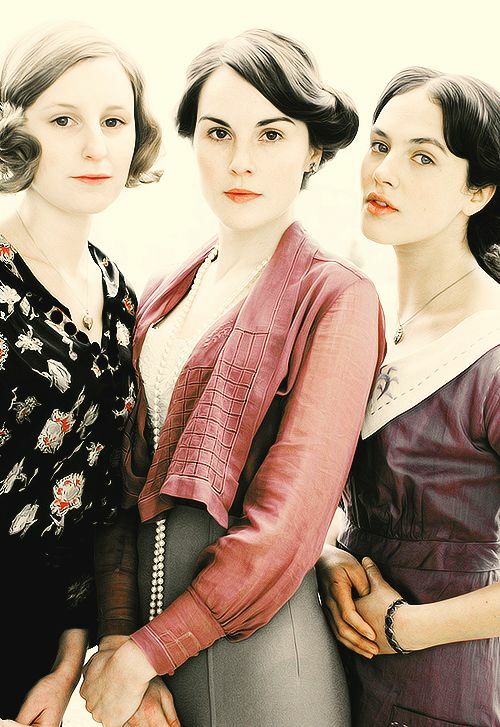 I love them with or without hats (especially Downton Abbey like ones), and they work well for both day and night. 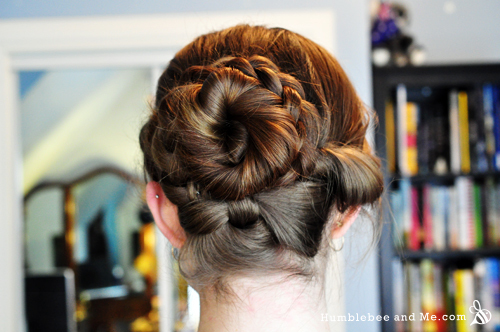 This is a hairstyle is one of my favourite originals, and one of the most wearable ones I’ve seen. 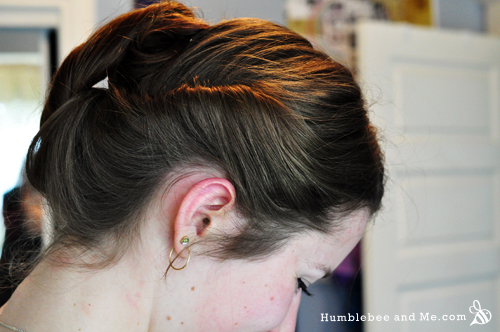 Downton Abbey hair—this is what I’m taking my inspiration from. 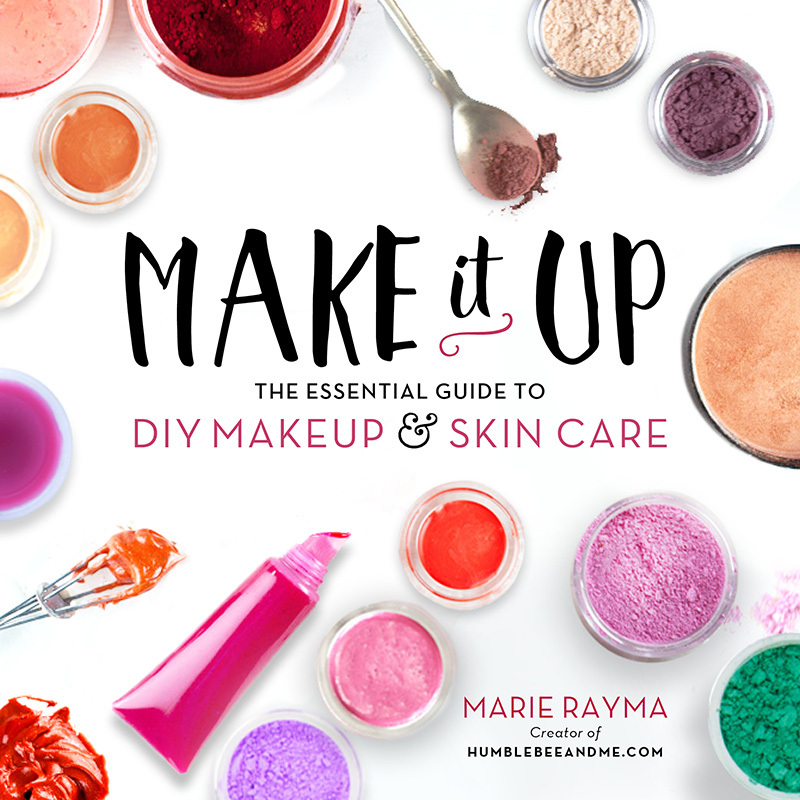 How can I make soap without using lye? You can’t, and I wrote an entire article on why—you can read it here.